This isn’t the call we were expecting – a relaxing of childcare worker qualifications, and a questioning of the professional contribution to childcare as outlined in the National Quality Framework. But they are among recommendations made in an interim Australian Parliamentary report released 15 August. It’s opened a pandora’s box of comments about sector regulation. Reducing the regulatory burden in the Family Day Care sector, including by removing limits on the number of educators in each service. Evidence‑based staffing ratios and staffing qualifications. Review the principles of the National Quality Framework to ensure they appropriately reflect the evidence-base. NQF review should recognise that formal qualifications are not the only prerequisite for the provision of high quality child care, as this can also be provided by parents. Greater transparency about red tape reductions in early childhood education and care. Review fee assistance to ensure that it is actually targeting maternal workforce participation and children from disadvantaged backgrounds. In questioning the effectiveness of childcare sector as currently configured, the report referenced the Productivity Commission’s 2014 inquiry into the sector, which found a lack of evidence made it “impossible to tell whether they (staff-to-child ratios) have been set at appropriate levels”. One quote that is sure to get a lot more attention came from committee chairman David Leyonhjelm. This sentiment appears to take us back to the perception of childcare as babysitting, where safety, comfort and happiness are indeed the perfect outcomes. It dismisses (or at the very least, undervalues) the educational value of childcare in Australia, the focus on developing learning dispositions according to Early Years Learning Framework as a foundation for all future learning and the developmentally appropriate practices undertaken each and every day by child care professionals. Not surprisingly, the sector reaction has been swift. A dissenting report from Labor senator Murray Watt and the early childhood union, United Voice, described the inquiry as “an unnecessary … ­attack” on the quality provisions overseeing the industry. And Mitchell Institute director Megan O’Connell said the report had ignored “mountains of evidence showing quality educators can change the course of young children’s lives”. Australian governments agreed on a national quality agenda for early childhood education and care and out-of-school-hours care in 2009. It covers better quality care and promoting good social and educational outcomes for children. From the agenda have flowed two national partnerships. Highlights of the partnerships include a National Quality Framework (NQF), the Australian Children’s Education and Care Quality Authority, the National Quality Standards, a quality rating system and a national regulatory system with state and territory governments responsible for the NQF. Here is an overview of the Australian framework. You can find out more about the centre-based and family day care ratio requirements from ACECQA. The interim Senate report found there was “still a wide variety and amount of regulation affecting the … sector”. 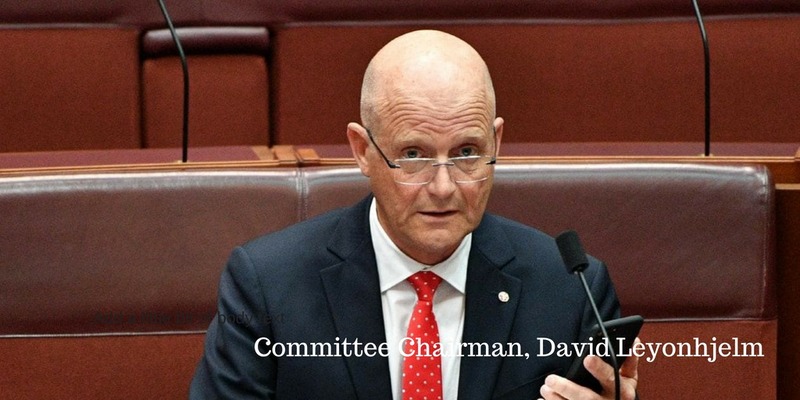 Those who made submissions to the inquiry disagreed that “the NQF improved national consistency or reduced regulatory burden”, said committee chairman Senator David Leyonhjelm in the report. He acknowledged the rationale for imposing staffing ratios. But, the committee was not “not convinced that the current policy settings are correct … there is insufficient evidence in this area”. Meanwhile, on qualifications, chairman Leyonhjelm suggested “it would be prudent to establish a sound evidence-base to promote the relationship between staffing qualifications and children’s outcomes, and to avoid the perception of that regulation being unnecessary red tape”. The Australian Childcare Alliance submission itemized focused on ratios, regional supply mismatches and red tape in the approvals process for new services. The CIS also said staffing regulations for ratios and qualifications were “burdensome as labour-related costs account for over 60% of approved providers’ total operating expenses”. Family Day Care Australia (FDCA) questioned the rationale for ratios in its submission saying there was “no evidence” about a specific ratio of co-ordinators to educators promoting the best outcomes for children. Another submission said ratios were sensible for “very very young children but less so for older children whose care needs are fewer”. Meanwhile, Chiang Lim, CEO of the Australian Childcare Alliance (NSW) said that in at least one state (NSW) there had been an inadequate cost-benefit analysis of the regulation, particularly for the introduction of the 1:5 ratio for children aged two to three years. Here is their full submission to the committee. The NQF sets out minimum qualifications for those worked in centre-based and family-day-care as well as out-of-school-hours care services. In centres, half of educators must have or be working towards a diploma-level qualification; the rest must have or be enrolled in a certificate III qualification. Find more detail from ACECQA on early childhood teacher registration and accreditation. Dr Jennifer Buckingham from the CIS said there was no evidence higher qualifications improved cognitive outcomes for children. But, the childcare workers’ union, United Voice, disagreed, saying research had shown those qualifications had measurable impacts in high NAPLAN scores in year 3 and even better performance at age 15. Meanwhile, CEO of Early Childhood Australia, Samantha Page, said that for children in formal care, it was important staff have early childhood qualifications. “That is well documented in research … qualifications make a difference, ratios make a difference, group size makes a difference, and the quality of the setting and the environment that is available to the children makes a difference, and that’s why we have national quality standards,” she said. And ACECQA’s CEO Gabrielle Sinclair added that qualifications were “not the only criteria” as “what we want in the ideal world is people who love children, are experienced and also have the qualification”. And the committee? It made this statement. Labor Senators issued a dissenting report as part of the interim Senate report. Issued by Deputy Chair Senator Murray Watt, the dissenters said they supported the “maintenance of effective and evidence-based regulation” of the sector to safeguard the quality and safety of such services and children’s educational development. They called on the Federal government to restore a $20 million cut it had made to NQF funding in the 2018-19 budget. They also urged the Federal Government commit to funding the national preschool program for four year old children. The committee is due to present its final report on 3 December 2018.